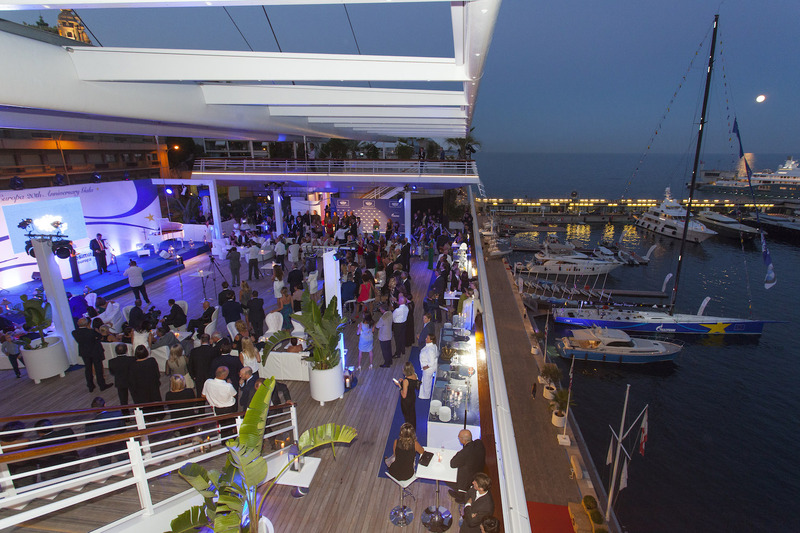 To celebrate 20 years of the vision of the Slovenian businessman and entrepreneur Igor Simčič, the founder of the Esimit Europa project, 200 guests and friends of Esimit Europa gathered on the magnificent deck terrace of the new clubhouse of the Yacht Club de Monaco, which is home to the Esimit Europa 2 yacht. 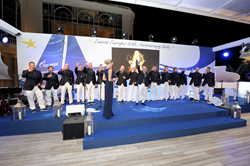 Among those attending the gala event organised on this very special occasion were several Ministers, Members of the European Parliament, Ambassadors and Consuls, Managers of sponsoring and partner companies and leaders of several important yachting institutions, who share a passion for sailing and support for this unique European project and celebrations were held under the honorary patronage of the President of the Republic of Slovenia Borut Pahor and the President of the Republic of Cyprus Nicos Anastasiades. The Esimit Europa project has become a unique example of building bridges across national borders via sport, diplomacy, business, culture, and social responsibility. Over the past 20 years the Esimit Europa Project has grown from reconnecting a town previously divided by a border to connecting the world, via a programme which earlier this year was recognised by the United Nations. Since the first official support granted by the mayors of Gorizia and Nova Gorica in 1995, more and more diplomats have become aware of the Esimit Europa project and recognised its potential as a means to promote important values through sport. The first decade was crowned by the European Parliament granting the team permission to fly the European flag officially as well as the patronage of the European Commission. The visibility and reach of the project have increased even more in its second decade, step by step, to become global. This year, as the Esimit Europa project celebrates its 20th anniversary, the message of friendship and collaboration was extended beyond European borders, going worldwide following its recognition by Secretary-General of the United Nations, His Excellency Mr Ban Ki-moon. Alongside all the diplomatic achievements, the project has always been well represented on the sea – by the first 42-foot-long yachts Nova Gorica – Gorizia and later on by Esimit Slovenija – Friuli-Venezia Giulia, and the team has enjoyed great success, always winning in its category. After gaining permission to officially fly the European flag a new sailing boat was acquired - a larger and faster boat, effectively a bigger advert for the project, one that was up to the task of representing the European Union. This was the 60-foot-long full Grand Prix racing yacht, built of carbon fibre, which was christened Esimit Europa. 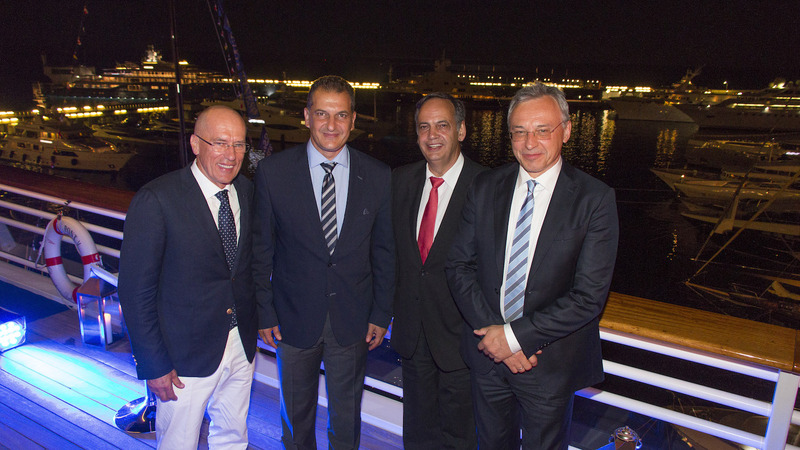 While the Esimit Europa campaign had already proved to be a winning one, in 2010, the support of Gazprom as main sponsor of the project, enabled the acquisition of a new maxi yacht – the 100-foot-long Esimit Europa 2. With her, the crew started claiming line honours in race after race and breaking new records on the sea. The words said at the christening by Dr. Miller were not only powerful, but turned out to be true: “the crew promises that they will be winners in all the races around the world”. Today the project is represented by one of the fastest monohulls in the world, Esimit Europa 2 that has already achieved 39 consecutive line honours victories and has remained unbeaten on the water. 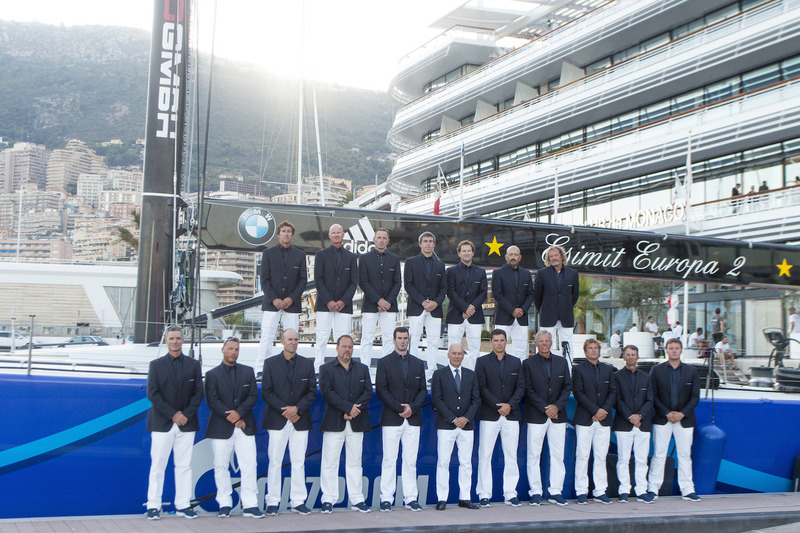 The Esimit Sailing Team, made up of a mixed crew of Slovenian and Italian sailors back at the beginning, has become a fully professional team of sailors representing 11 European nations, a team of multiple America's Cup and Volvo Ocean Race winners, Olympic medalists, plus World and European Champions in a variety of sailing classes. The leader of this amazing sailing team today is a German sailing legend – two-time winner of America's Cup, three-time Olympic champion, Jochen Schümann. On the occasion of the team’s 20th anniversary Esimit Europa made a donation to the Children's Home “Mladost" that will enable participation in extracurricular activities and an adventure trip to a waterpark for all the children. Namely, by fulfilling its mission of connecting people, the aim of the Esimit Europa project is also to help less privileged children in various ways. In past years, on training days prior to race starts in different countries, the team welcomed less fortunate children on board Esimit Europa 2, giving them the unique opportunity to spend an unforgettable day sailing on one of the fastest sailing boats in the world. They sailed together with children with Down Syndrome in Kiel and in Muggia; within the project we also enabled sailing holidays for children in difficult life situations via the association sunshine4kids. Last year in Montenegro the crew sailed with children from the Children's Home “Mladost", a social institution that provides care for children deprived of parental care and children whose development is hindered by family circumstances. This event created a particular bond with the team, so they decided to dedicate the donation on the occasion of the 20th anniversary of the Esimit Europa project, to enable them more unforgettable experiences to inspire their future. The official programme at the gala event concluded with a special toast with all guests and friends – and was made with Medot sparkling wine, which is the legacy of more than 200 years of tradition within the Simčič family, today run by Igor’s son Simon Simčič. Based on the yellow Rebula grape, Medot is the ambassador of the Goriška Brda region, while the family’s emblem has been proudly emblazoned on Esimit Europa 2’s mainsail throughout all of the 20 years of the project. Guests went on to enjoy the evening with currently one of Slovenia’s best musicians - Uroš Perič and his band - accompanied by the Slovenian singer Nuška Drašček. The Esimit Europa project is represented by the Esimit Europa 2 yacht, with its main sponsor Gazprom and official partner BMW, and the Esimit Sailing Team composed of 18 highly skilled sailors from 11 different nations who inspire the sailing values of teamwork, solidarity, innovation and collaboration. The Esimit Europa project is under the patronage of the President of the European Commission and has the official support of the President of the European Parliament, which allows the yacht to officially fly the European flag. In 2015, the year when the Esimit Europa project celebrates its 20th anniversary, the message of friendship and collaboration was extended beyond European Union borders, achieving a worldwide dimension with recognition by Secretary-General of the United Nations, H.E. Mr Ban Ki-moon.